I almost set this morning out but couldn’t quit thinking they would be moving good after the rain. Got in as soon as it slacked off, hopefully ol big will slip up! Rain has pretty well quit but that wind is stiff! I am under dressed. 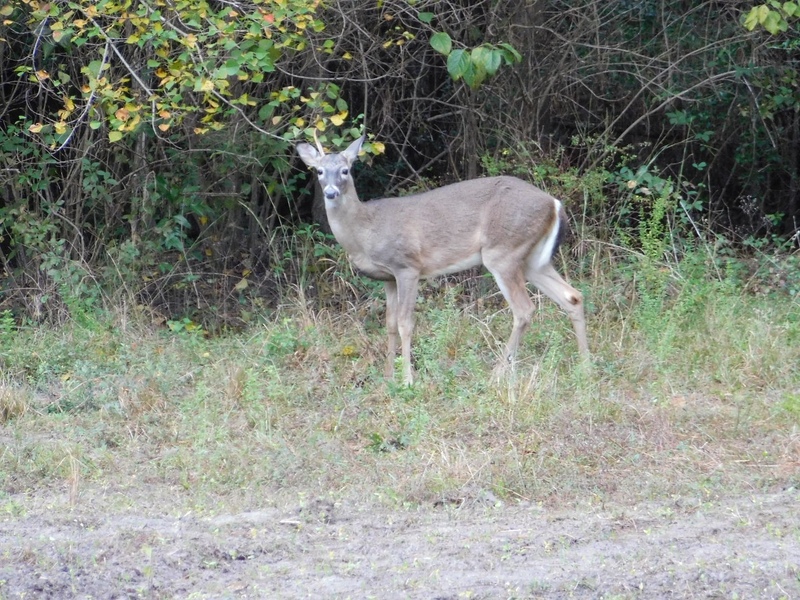 Took my stepson to school this morning, took a look outside before we left had 15 does and yearlings and 6 bucks eating corn. 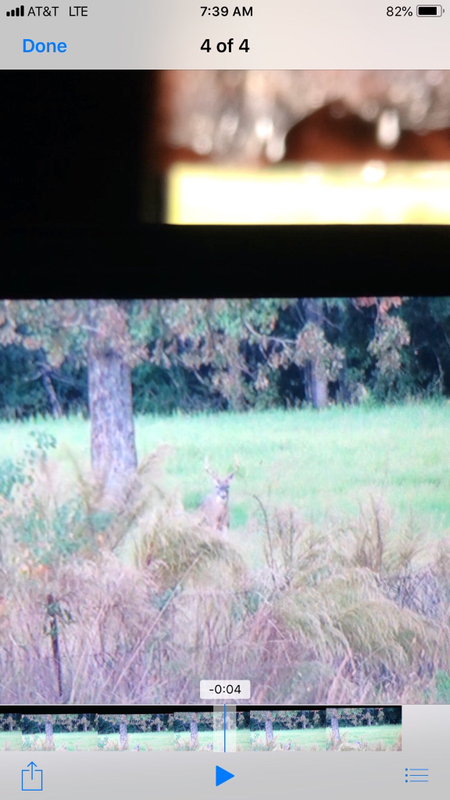 Largest was a 10 pt pushing 140 that I have passed every day. I know he is 5.5 plus and there is a chance that a neighbor will kill him if he steps out in front of them. Cant help but think he will blow up if he makes it another year. This was right after the heavy rain let up. Yesterday they started moving around 2:00 all the way till dark. I'm finally going to hit the woods this weekend for an afternoon in Anderson County. Football season will end tonight, and I will be going in blind. Haven't had a chance to put out cameras, fill feeders, or even plant a food plot this year, also haven't looked at my stands since May. It is going to be a crap shoot lol, but it will be nice to get in the woods finally. You need to let that boy shoot that buck! He is 17 now and killed several does and his first buck was an 8 pt. Now he has no interest in anything outdoors because his dad put him on a guilt trip everytime he did something. Such as well I wanted to take you to kill your first deer, well I wanted to take you to kill a buck. But I wanted to take you fishing etc. Otherwise if he could show some appreciation for the outdoors and helped me prep and feed then he could kill any buck he wanted. Just got in. Saw a lot of deer driving down. what you did once you got up there? Sit on a 2x4? Just had one of our shooters walk by my stand 10 mins ago, they moving. Maybe a transformer had blown up there? Lmao I’m trying to stay sane here! 4 does feeding and young 6pt sniffing around. Sat in a loc on. Hunt In: Wheeler, Collingsworth, Coryell, Bosque, and Henderson counties. I'm willing to travel. Pretty quiet here so far. I think I saw a fox. Unfortunately, I also had to take a call from the office. I guess we will see what happens. Does anyone else find shooting pigs wadded up under a feeder to be difficult? To me it’s like blasting in to a wad of ducks without picking one out. It just never seems to work out like I expect. Some people in my office say the same about me. I believe the comment this week was...."I feel for your wife, youre probably more raw at home. We have the tame shane. I am in Saturday all day. Drive Texas says 3478 bridge over the Trinity is open anyone know for sure. Been taking the long way around. Last edited by Low Fence; 11-09-2018 at 06:54 PM. My dads been hunting my stand since I shot big boy last weekend and hasn’t seen much since. Well tonight he was back in my stand so I went to his. He saw four does and, well, I saw a big 8 with a mule deer kicker. Well my buddies dropped two big boys in Illinois this evening! Well we rollled into camp after midnight after the football game and loading everything up. Wife decided she was sleeping in and sure enough a legal 9 point came through first at 50 yards then again at about 35. No monster but would of been a heck of first deer. Here in liberty county haven’t heard any shots and haven’t seen a deer yet . Will hunt till noon. Slow morning in Jasper county. This little unicorn made an appearance though. I’m settled in. I really enjoy God’s A/C. Cool weather makes for a good mood.